Protecting and monitoring your assets has never been easier with the video surveillance technology and services we provide. From private residential applications to full-scale commercial security plans, we can help you set up a secure system to protect what's important to you. We design and install systems that are highly secure and high tech, whether analog or IP. Utilizing TruVision from Interlogix, you can monitor hi-resolution footage of your most secure areas. Control your system from within the site, even remotely from another continent, on your mobile device. For help strategizing the best security system for your business, give us a call at (800) 759-3960. We are an authorized installer and dealer of Interlogix security systems and products.  With an open platform providing a flexible migration path to IP, TruVision Navigator 5 represents the ideal VMS. It's not only easy to install and use, but also offers greater scalability to accommodate future growth. Plus, when used with the new TruVision Software Video Recorder (SVR), only a one-time licensing fee is required. For affordable, high-quality digital recording, TruVision NVR 10 video kits offer complete, cost-effective surveillance that’s also incredibly easy to install. Each kit includes four TruVision cameras with no IP configuration or programming required. Simply install the cameras, plug in the cables and power on the NVR to start recording. The TruVision line includes IP components, such as megapixel cameras, recording devices and software, designed to work seamlessly with Interlogix network switches for a ready-made IP solution. 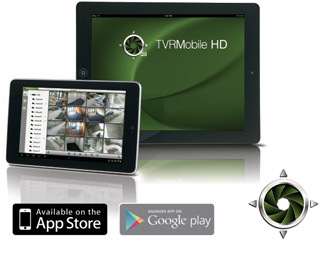 The TruVision mobile app allows users to access and monitor their facility's surveillance from anywhere in the world.